The point guard has put in the hard work and it’s paid off on the court in a breakout season. Spencer Dinwiddie. It’s a great name for a nerd, an academic. It doesn’t conjure images of athletic prowess, and certainly not basketball royalty. That is reserved for the LeBrons and the Kobes and the Kyries of the NBA world. Spencer Dinwiddie is the name of the guy you underestimate — at your own peril, as he often has demonstrated throughout this Nets season. It’s a season that began with Dinwiddie listed third in the Nets’ point guard pecking order behind veteran Jeremy Lin, the erstwhile author of “Linsanity,” and D’Angelo Russell, the No. 2 overall pick of the 2015 draft and the designated future face of the franchise. But a season-ending knee injury to Lin in the opener and a knee injury that put Russell on the shelf for nearly 10 weeks opened the door of opportunity for Dinwiddie, who latched on to it like a man with something to prove to the world. 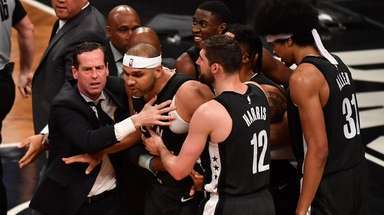 “It’s unfortunate they got hurt, those are my guys, I wish they hadn’t,” Dinwiddie said of Lin and Russell. 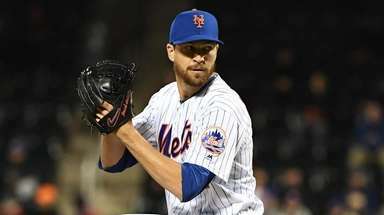 “But all I can do is try to make the best of it, and it’s been a fun ride this first half of the season. Heading into the All-Star break, Dinwiddie has established himself as the Nets’ floor leader. 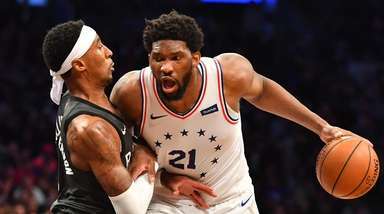 His 4.2 assist-to-turnover ratio leads the NBA, he won the All-Star Skills Challenge Saturday night and he’s a candidate for the NBA’s Most Improved Player award. Dinwiddie has proved himself in the clutch, hitting four go-ahead baskets in the final minute, including three game-winners in the final 10 seconds, plus four more tying or go-ahead baskets in the final minute of a loss. It’s an unlikely story that includes his struggle to come back from reconstructive knee surgery as a junior at Colorado in January 2014 before being drafted in the second round by the Pistons, who traded him to the Bulls in 2016. They immediately waived him before he was consigned to the D-League, where the Nets found him last season. But in Dinwiddie’s view, at least, it’s no accident that he was prepared to succeed when fate tapped him on the shoulder. His belief in himself is rooted in his upbringing by parents Stephanie and Malcolm. His mother was a professor at USC before opening a day care school, and his father is a real estate agent. They emphasized education, and Dinwiddie’s 1400 score (out of a possible 1600) on the SAT is evidence that he was as dedicated in the classroom as on the court. “They raised me in a household that was about respect, accountability and kind of a ‘no excuses’ mentality,” Dinwiddie said of his parents. “I always felt like I could do anything because of the support and love they gave me, but at the same time, they always taught me to look inward and figure out how I can be better and how I can help shape whatever is going on around me. That sort of determination has driven Dinwiddie on every step of his journey, but he also has been fueled by everyone who ever doubted him. 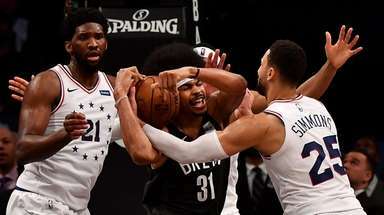 Dinwiddie draws an analogy between himself and the Incredible Hulk in terms of how anger over what he regards as disrespect transforms him into a player who won’t be denied. 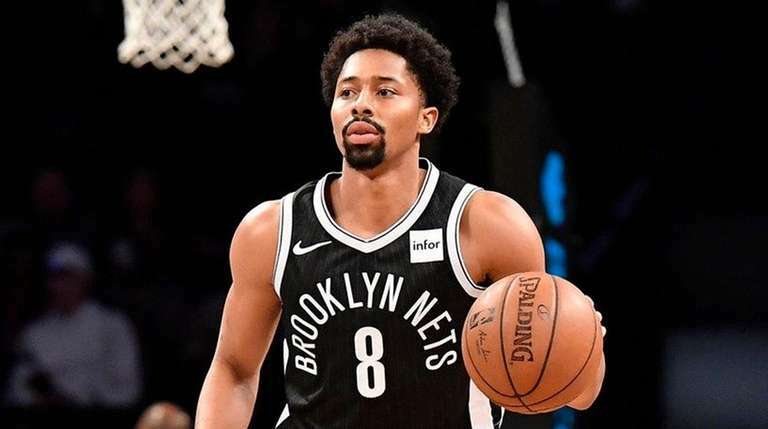 As a rookie in Detroit, Dinwiddie had a couple of big games against the likes of All-Stars John Wall and Derrick Rose, but he generally was buried on the depth chart and got scant playing time from a team in “win now” mode. But the Nets were in “long-term development” mode when they signed Dinwiddie 20 games into last season. He made 18 starts and played a prominent bench role, but it was during the offseason program when Dinwiddie showed the first signs of being ready to blossom. Coach Kenny Atkinson said Dinwiddie and Caris LeVert put in more time at the Nets’ training facility than anyone else. In the end, respect is what it’s really all about for Dinwiddie. Respect from his teammates and coaches. Respect from the referees. Respect from the fans. 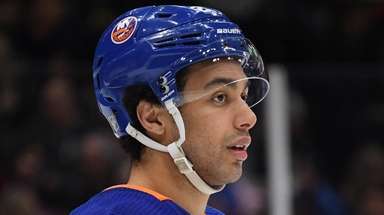 The question that looms in the future is how much respect the organization will show next season when he goes from being a bargain at a non-guaranteed $1.65 million to being eligible for an extension that might start at $8 million to $9 million per year.